Our world is changing and the nature of leadership in our world is changing. Not so long ago the above question would conjure up images of ‘great’ nations or of some particular nation’s advantage in this or that technology. Leading the world a matter of power, but today there are nations in our world cannot whom we cannot afford to ignore not because they are powerful but because they are vulnerable. Their vulnerability points towards our future. In using the word ‘jumemmej’ the V20 have reached into the folk memory of one of their smallest members, the Marshall Islands, with a population of 53000 spread among 29 coral atolls close to the international date line. The word is taken from the world of seafaring and it signifies a call to action, vigilance, keeping watch against threats. Imagine what it must be like to be on a raft making our way to some destination beyond the horizon. Perhaps the weather is good, with a perfect breeze and not a cloud in the sky, but in this sun drenched featureless world we still have find our way to where we are going. The world may appear to be standing still but neither the sky above nor the sea below is as peaceful as they seem. We have to be alert active watchful. This is how it is on our planet especially in the more comfortable parts. Elsewhere there are storms and we have to pay heed to the warning signs. Stories are being told and to strange words like ‘Jumemmej’ are being brought to our attention. The V20 addressed their ‘Jumemmej Declaration’ on 22 November to the UN Climate Change Conference at Katowice, COP24. It speaks of ‘a strong signal for all nations, and non-state actors, to contribute to the generation of new ambition.’ That word ‘ambition’ is used four times in a short half-page statement. It says a lot. It says that talk is no longer enough. It says that the future will make demands on us. All the signs from the G20 in Buenos Aires are that the ambition was not high on the agenda except big powers wanting to be bigger and stronger. In the not-so-long run this macho posturing will be dwarved by the challenge climate change and global warming. When we look back on these two meetings in 2018 – the V20 on 22 November and the G20 eight days later – one of them will be remembered as a meeting of powerful people who had little to say to each other or to the rest of the world. The other will be remembered as the true voice of leadership. 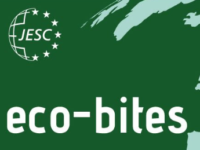 To read the entire Eco-Bites December Issue see here. To watch the video on Water by Peter Rožič SJ see here.